Simply wave your hand above your phone to change channels, volume, or whatever your heart pleases - it's all configurable! 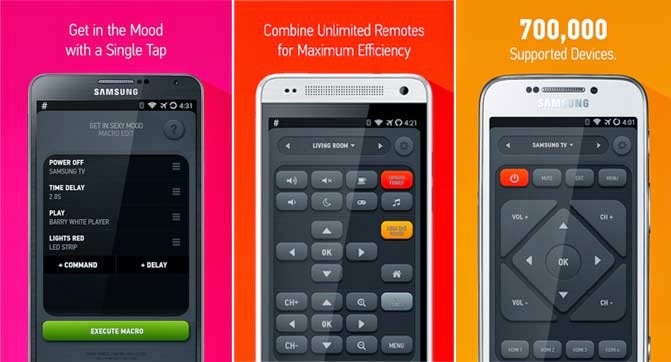 Smart Remote can now mute your TV, pause your media player, or even switch them off if you wish, all of that when your phone rings. Group commands in batches, sort them and add delays, and then execute the series of commands one after the other. Imagine being able to turn your TV, Xbox and surround system on, switch TV to HDMI 1 all with a single tap! Couldn't find your remote in our list? 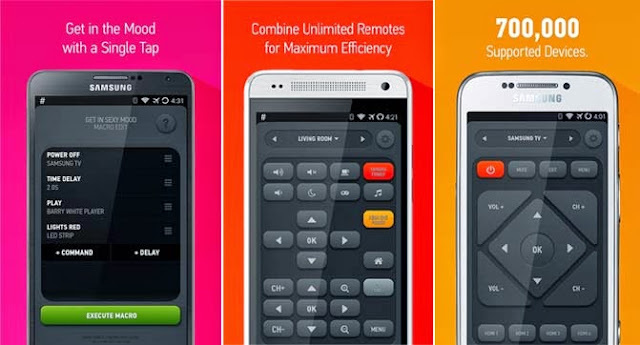 Simply record each button to have it just the way you want it. Opt in to share your remote so that other customers can make use of your work too!